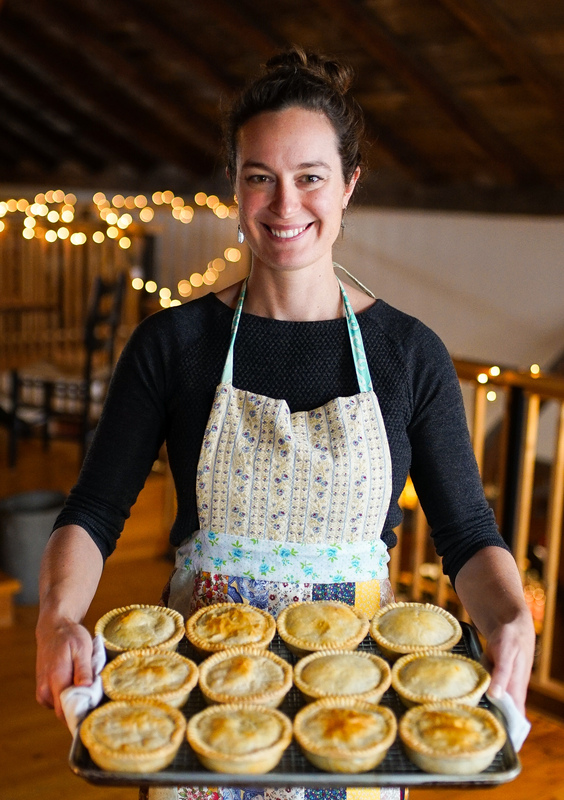 We make savory handheld pies, made from scratch by hand from premium Vermont ingredients. 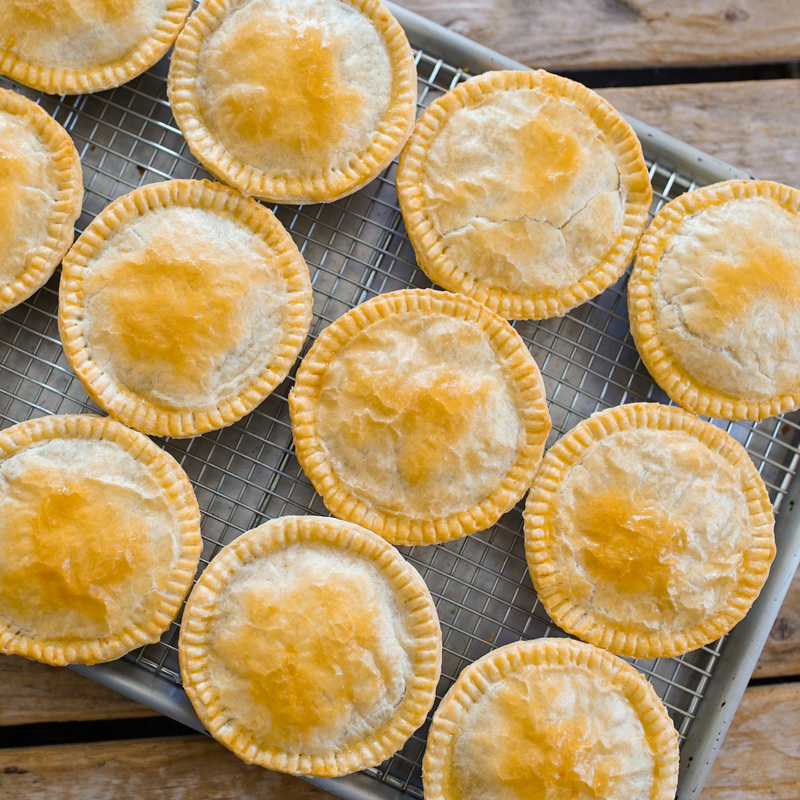 Look for a variety of tasty fillings—steak and ale, chicken and bacon, curry chicken, Indian vegetable, and more—all encased in flaky, handmade pastry. This winter, you can find us at Foam Brewers in Burlington most Fridays from 12 – 4:30 p.m. We also put in special appearances at Hill Farmstead Brewery in Greensboro, Boyden Valley Winery in Cambridge, and other local spots. See our upcoming events listing for details. Sold in just about every bakery in Australia and New Zealand, these rich, flaky handheld meat pies are perfect anytime, anywhere. We fell in love with pies while traveling there, and now we are bringing them to you! We use premium Vermont meats, local vegetables when we can get them, and no sketchy fillers.